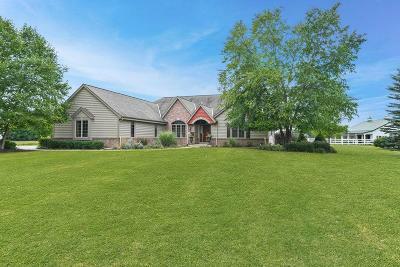 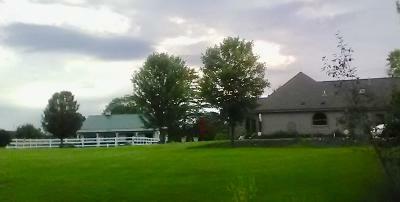 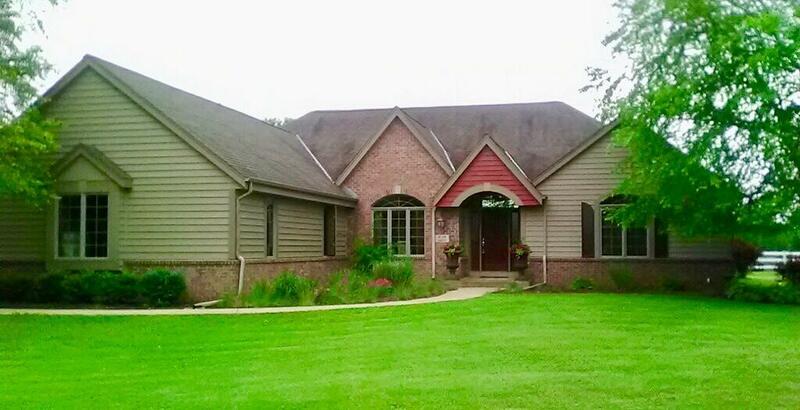 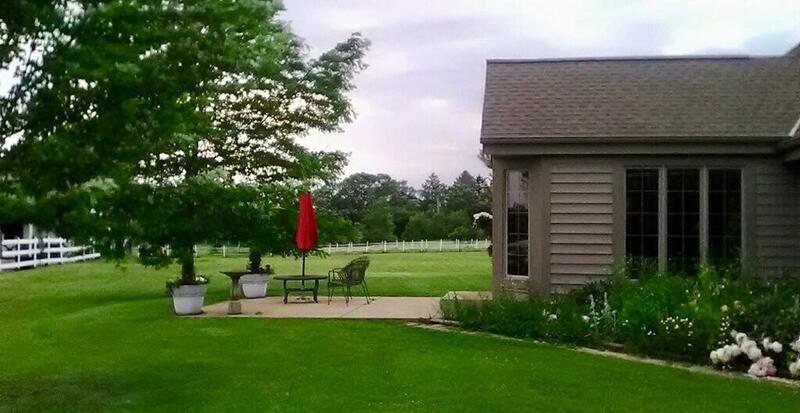 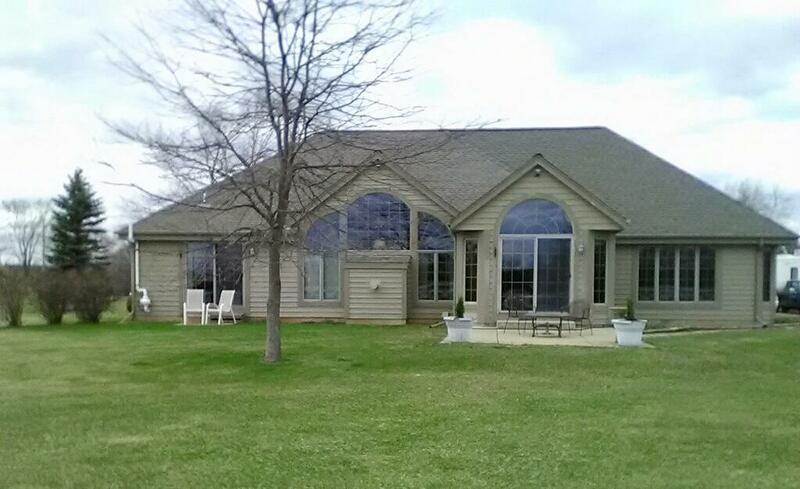 Beautiful custom built ranch home with stunning views of 6+ acres from this beautiful split plan open concept ranch. 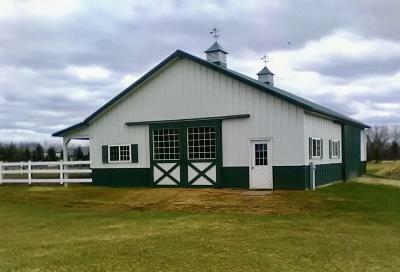 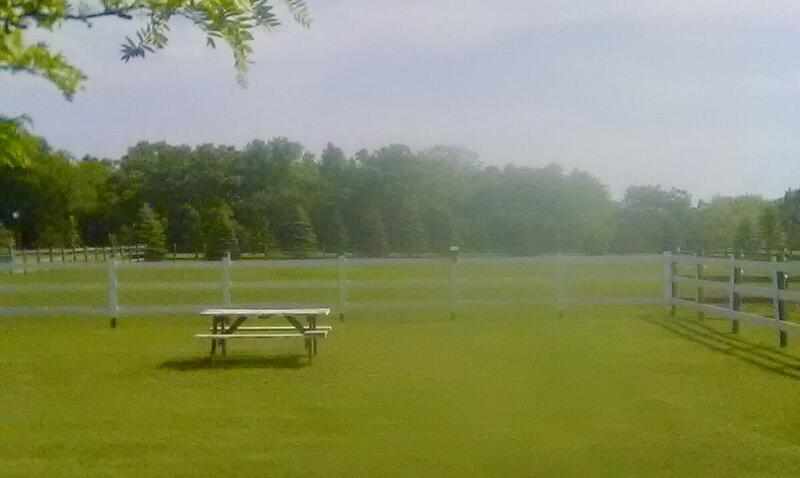 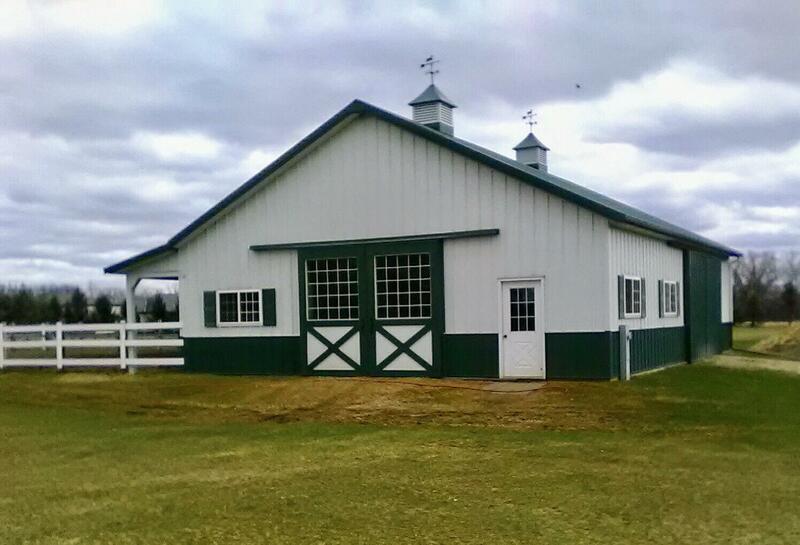 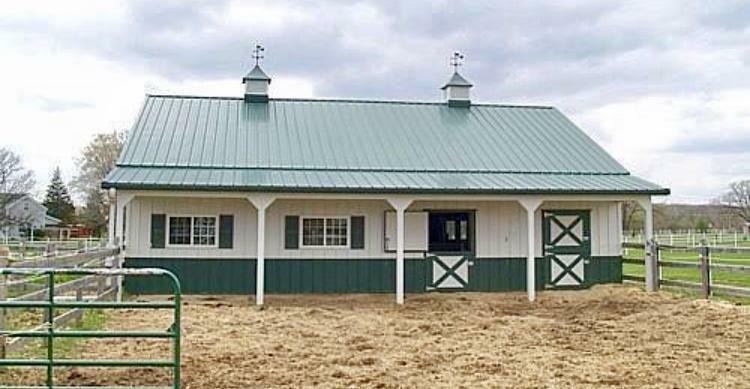 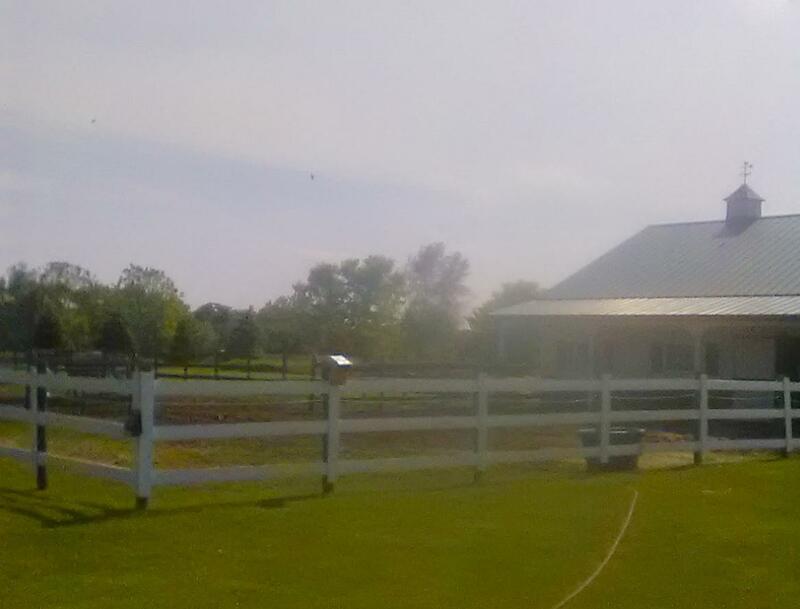 Morton Barn 42x36 with 2 box stalls & room for add'l. 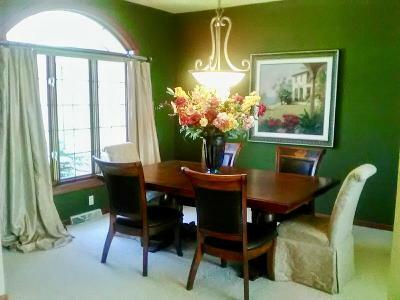 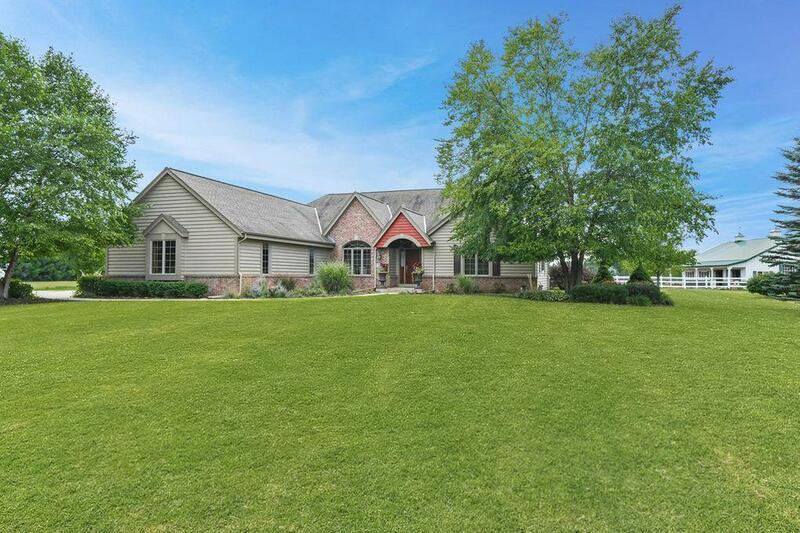 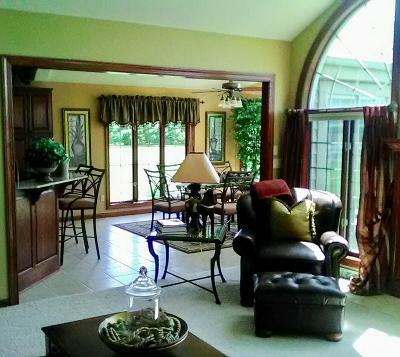 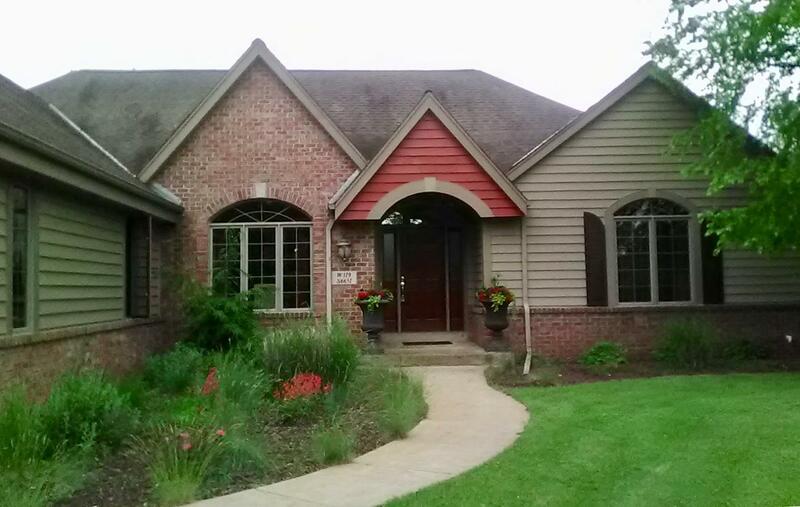 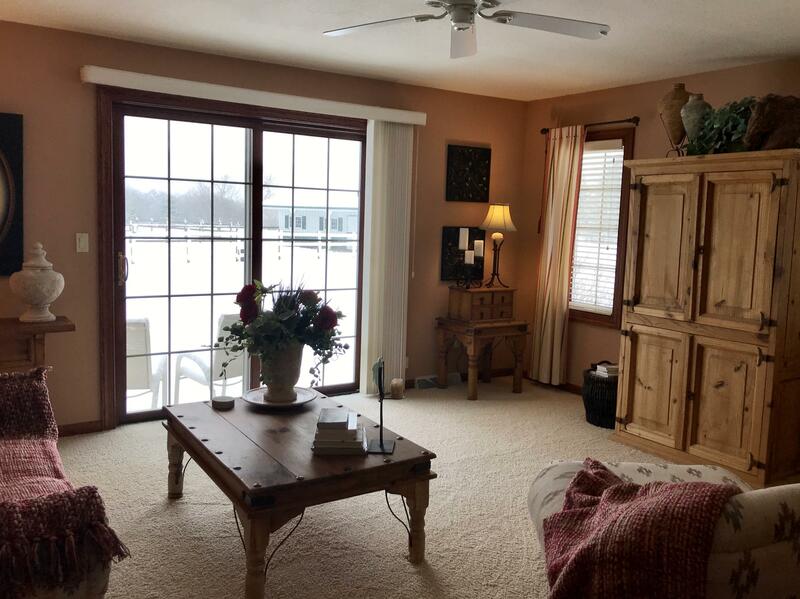 The home is ready for relaxation & entertaining with great room that opens to dining & kitchen. GR fireplace warms the cool days. 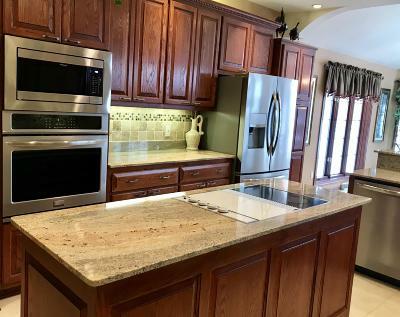 Kitchen with new (2019) SS appliances included and breakfast bar. 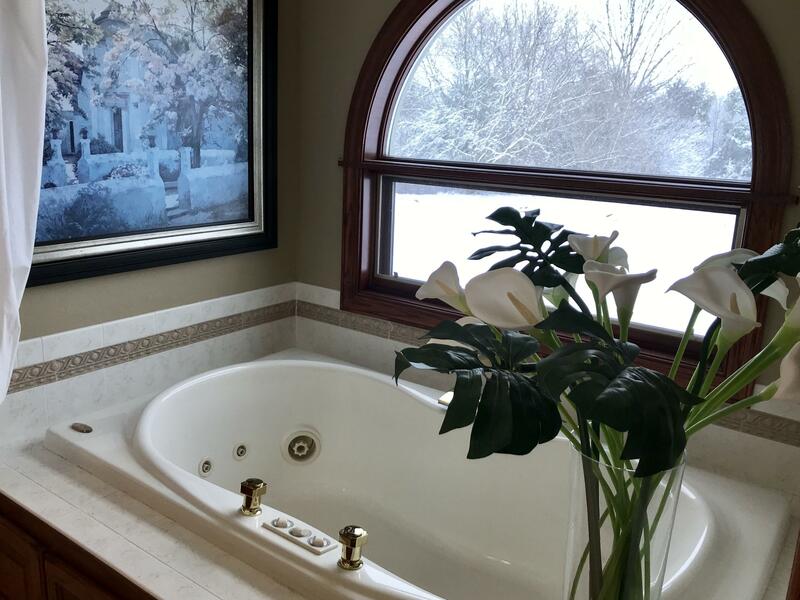 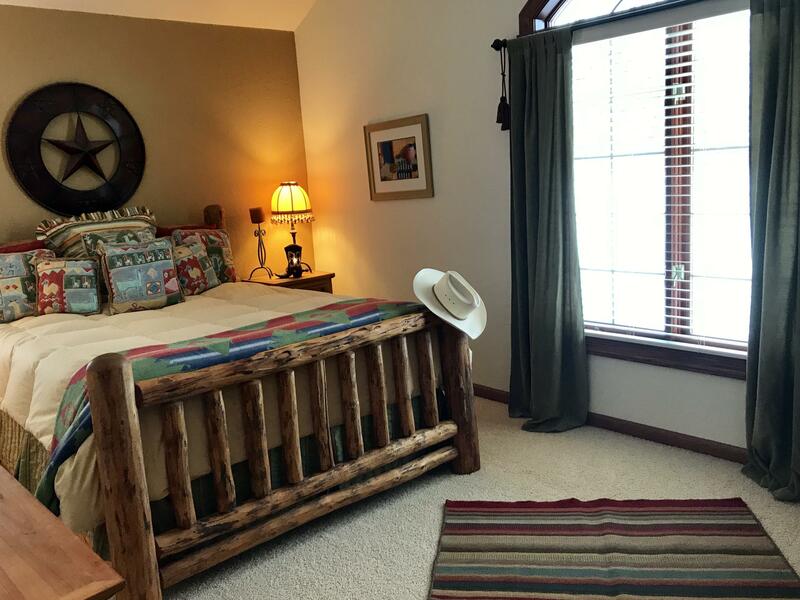 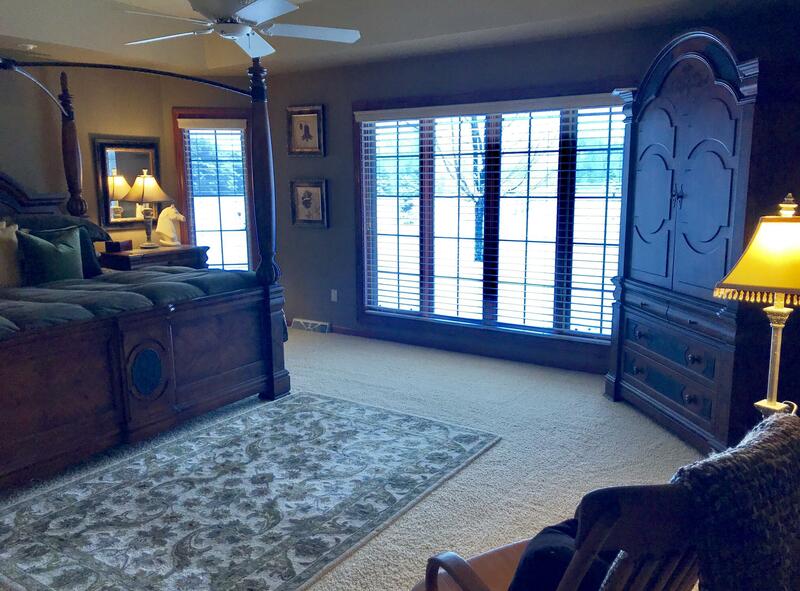 Master bedroom with walk-in closet and stunning en suite bath with jetted tub. 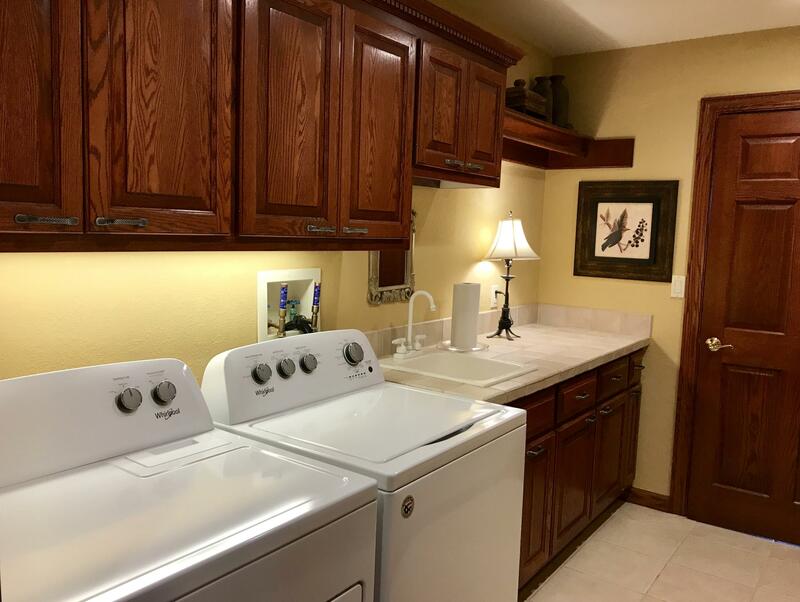 Mudroom, full bath and separate laundry room from garage entrance. LL with 4th full bath, plenty of storage. 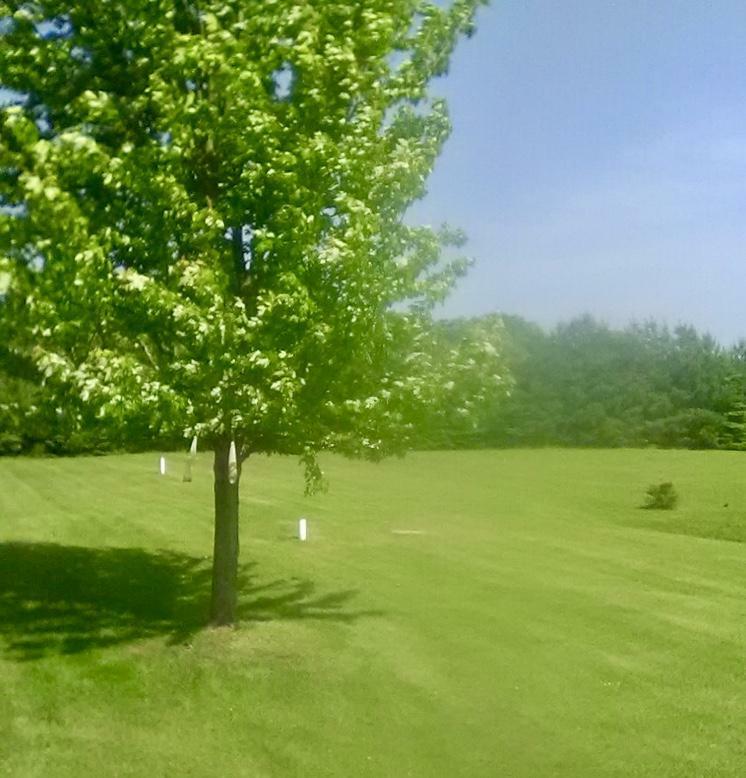 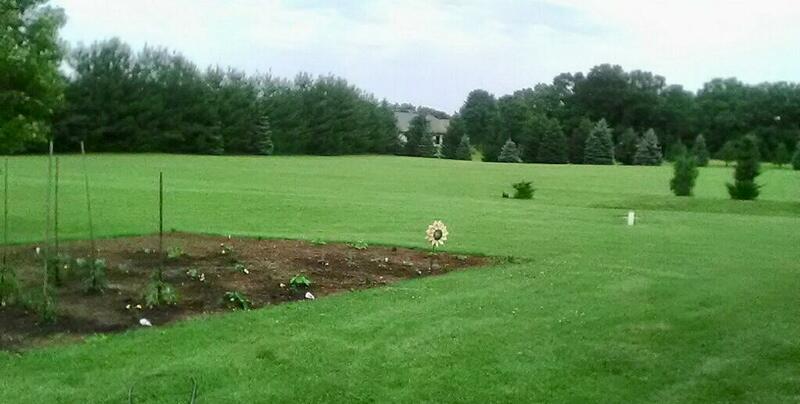 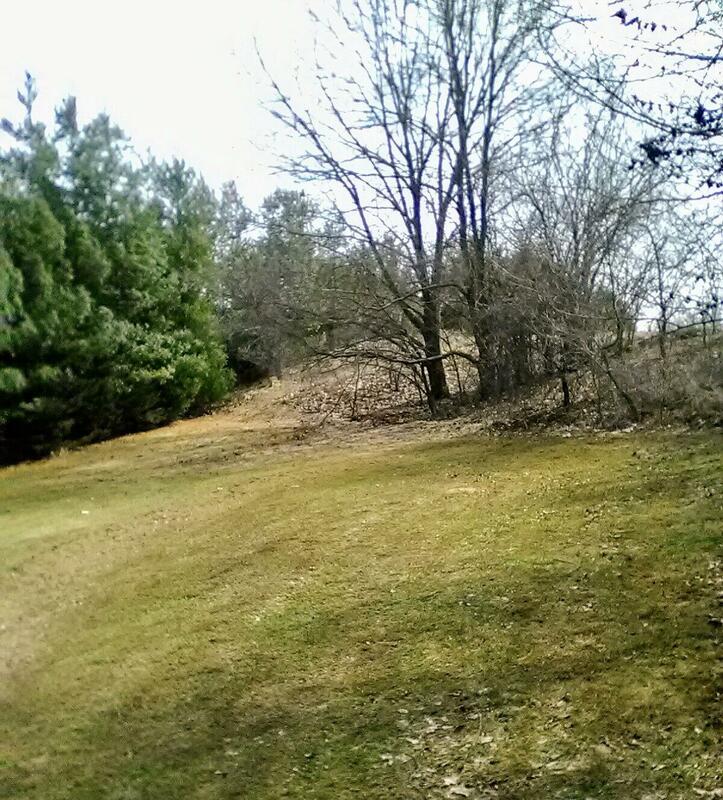 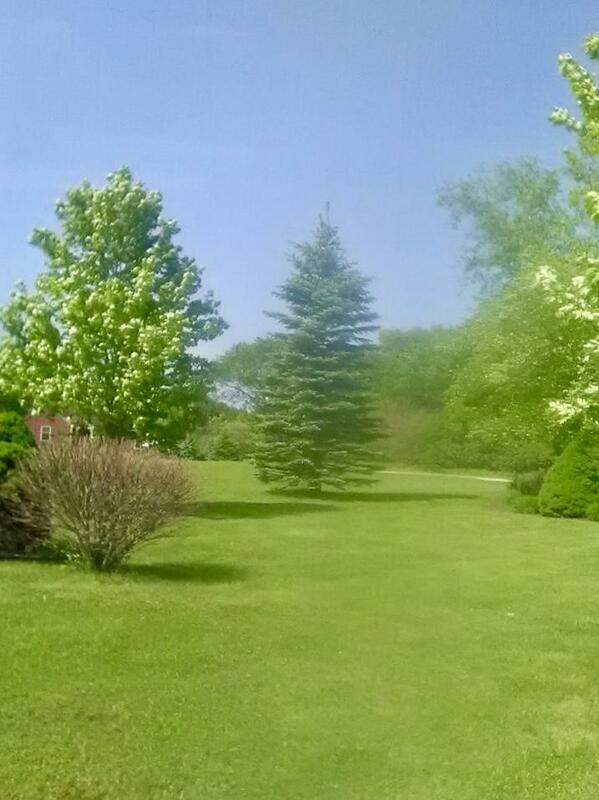 Property tree lined on East & South for privacy & quiet.